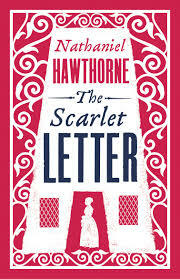 Research papers on the characters in The Scarlet Letter provide an analysis of Hawthorne's classic work of Literature. Research papers on the characters in The Scarlet Letter illustrate the fragility of human nature. Paper Masters' writers can custom write a research paper for your American Literature course that explicates the characters of this work by Hawthorne. Certainly, these characters seem to corroborate the doctrine which holds that man’s fall from grace instilled a genetic tendency towards moral weakness in humans, This is the stories plot. From a cursory analysis, it would appear that in every moment of choice, Hester, Dimmesdale, and Chillingworth have failed. However, Hawthorne presents his characters as more complex and conflicted than the one-dimensional stereotypes who populate fables and parables. Within the novel, a character is either just about to sin or is affected by a past sin, and a pall of evil overshadows everyone. Beginning with the community, Hawthorne represents them within the setting, which is either at the church, in the graveyard, or at the prison. Each place is symbolism in The Scarlet Letter for the results of sin. The sinner is condemned in the church, sent to a prison for his/her actions, or sin may result in a figurative death on several levels of human experience. Even more powerful is what Hawthorne fails to put into the novel about the community. There is no joy or bonding communal celebrations within the members of the community. The community thrives on the shame of others and it permeates their conversations and life. Pearl in The Scarlet Letter - Pearl in The Scarlet Letter research papers show how the character's in the novel represent the Puritan mindset of New England. Puritan Mindset in The Scarlet Letter - A "Puritan mindset in The Scarlet Letter" research paper reports that Hawthorne uses the child to further indict the Puritan mindset. Order a research paper on the Scarlet Letter from Paper Masters. Paper Masters writes custom research papers on Characters in The Scarlet Letter and provide an analysis of Hawthorne's classic work of Literature.